Protecting your garden shed is important and because no garden is really complete without a garden shed - don't neglect them. As well as the aesthetic element it would be quite awkward and difficult to maintain a successful garden without one. Where would you put all of your garden tools? Garden sheds come in many different styles and materials, each with their own pros and cons. For example, plastic sheds can resist the weather quite well, but they generally look less pleasing than wooden sheds. 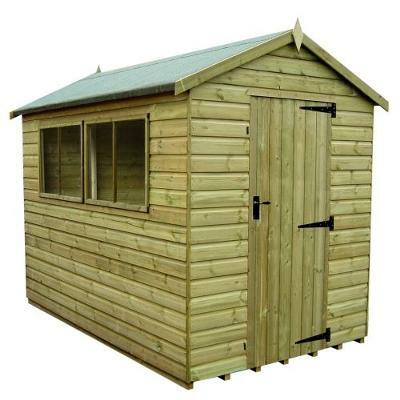 Unsurprisingly it is the classic wooden shed that reigns supreme in regards of popularity. What many people don't realise is why protecting your garden shed is important, and why a lot of the time you will see Sheds sat at the end of gardens slowly becoming old and dilapidated. Timber sheds need a lot of protection from weathering, especially the effects of rain. Timber has the natural ability to absorb water, which eventually leads to warping and splitting, so it's really important you plan to combat this before you purchase a new garden shed - or any timber structure. Be on the lookout for sheds that are labelled as pressure treated timber, this should mean the shed will last longer and have a better chance of surviving harsh weather conditions. Pressure treatment involves preservatives being forced into the timber to prevent damp and mould from the inside out. 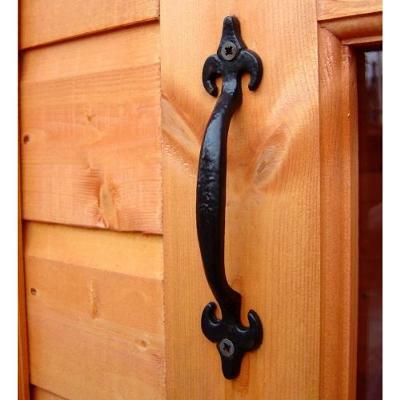 If used correctly on the exterior the inside should also be adequately protected. You won't have to think about this with most pressure treated pre-bought Wooden Sheds, just if you're building it yourself. Sheds lend themselves to customisation and creativity, allowing you to make your shed suit your tastes, no matter what they may be. There are even competitions for shed customisation, such as the prestigious 'Shed of the Year' in the UK. Although protecting your garden shed is important, one of the easiest and simplest ways is to make your shed your own by painting it. It opens up a huge choice of patterns and colours that you could feature in your garden. I really like the idea of dots and stripes, or maybe even something crazy like a Tiger pattern. Bear in mind that like painting most things, the surface has to be properly treated beforehand. When painting timber, this is even more important, as moisture in wood can cause paint to bubble and crack. It would also be a huge inconvenience and waste of time to think you have finished painting your garden tool shed, only to find that it needs doing again because the paint has flaked off. Paint also needs to be reapplied quite often, just like they used to do with the Golden Gate Bridge. When repainting your shed, I would always advice that you strip the paint all the way back to the wood and start from scratch. This may seem extreme, but otherwise the painting will not attach to the surface properly and again, you will find that it cracks. Alternatively, for a simpler look, you could use Wood Stain. It's just as easy to use as paint, except it allows the wood to breathe more than paint, reducing the chances of the wood splitting. Bear in mind that Wood Stain can often be like painting you walls with black paint and trying to cover them with white, or in other words, pretty difficult to do. Some people think varnish, but I'm going to be honest, I'd stay as far away from varnish as possible. It's true that it can look amazing, for a very short period of time. This short period of time being up until the varnish dries, in which time everything will have stuck to it. Every piece of dust, dirt or falling leave seems to get attracted to varnish, and you'll have a very difficult time getting rid of these 'blemishes'. I would say that Varnish is worth it if you have a whole week of perfect sunshine and no wind, but this is unlikely, but protecting your shed is important so you're probably much better off with paint or Stain.